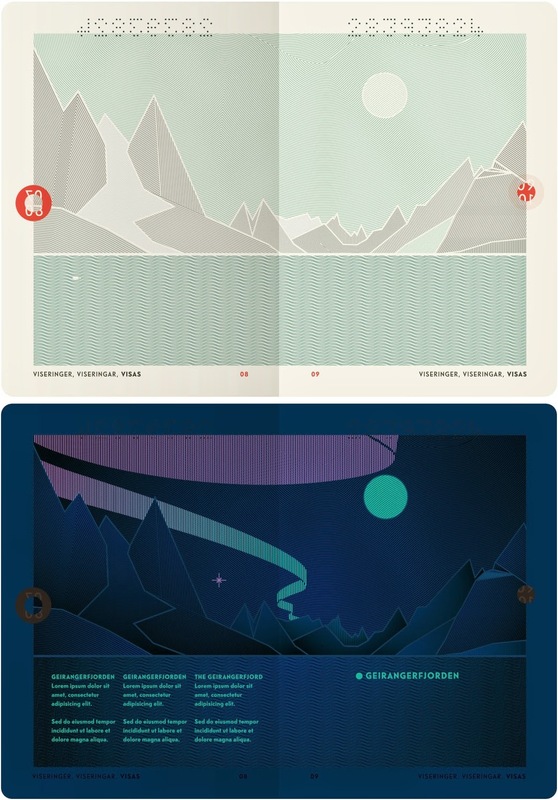 The Norwegian design agency Neue has just finished designing a new passport and ID card for the Norwegian Government. The designs try and capture the essence of Norway. Below an image of the inside of the passport normally and under UV light - when the Northern Lights appear.